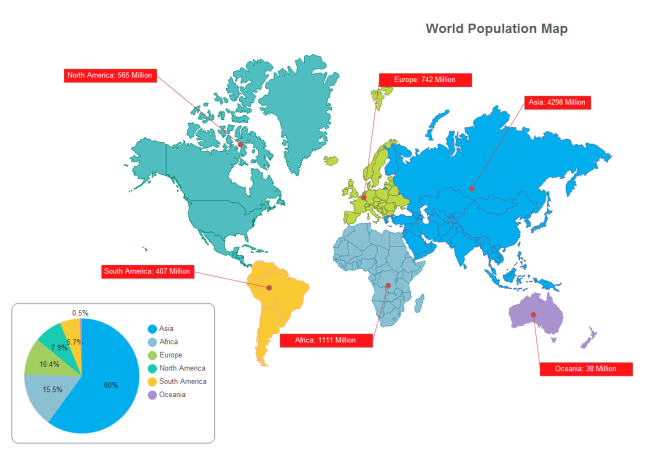 Description: This world population map is ready to download and print. When you open the original file, there are a vast number of indicators and callouts you can use to make your desired geo maps. You can also include charts and graphs in your drawing, such as pie chart, column chart, etc.